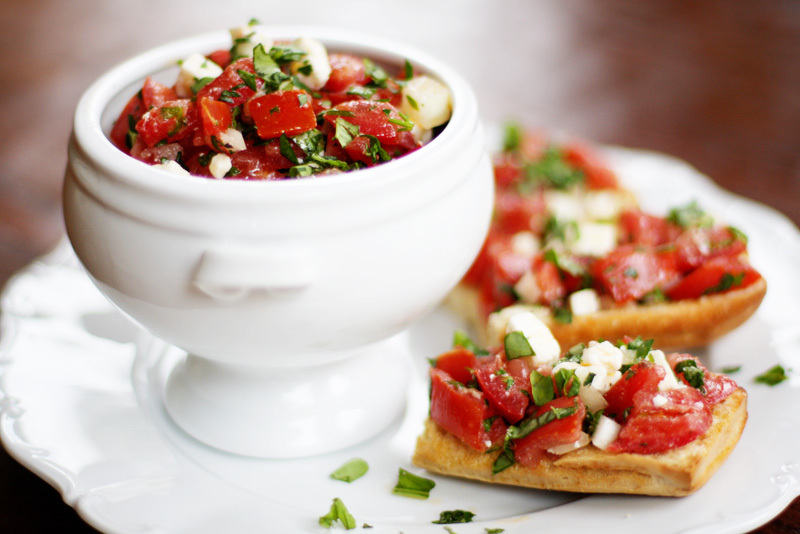 This bright, fresh salad of tomatoes, feta and herbs is summer in my mouth. I know it’s not summer yet, but in this dreary, cold, damp Pacific Northwest, I really really needed some summer in my life! But can you just imagine how amazing it would taste with tomatoes and herbs fresh from your summer garden? Even my tomato, feta & vinegar hating husband loves this salad, even though he doesn’t like to admit it. When I make it and put it in front of him, it’s not long before the whole bowl is gone!! 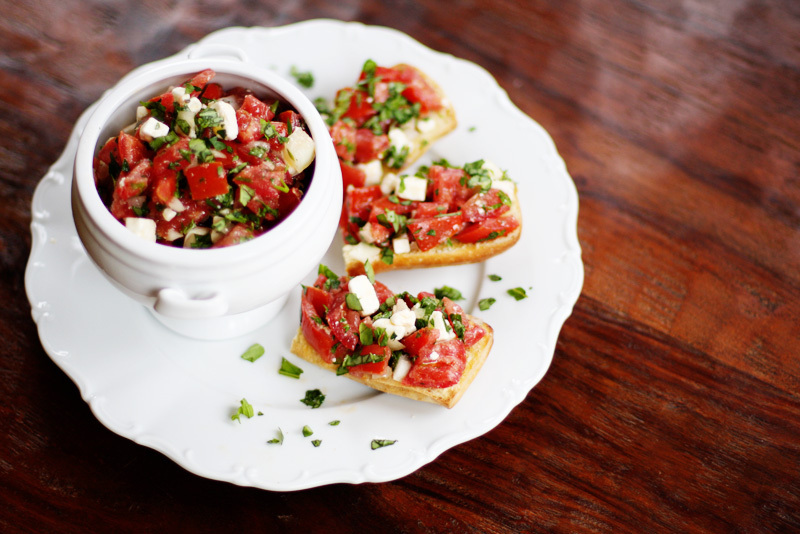 Gently toss together the tomatoes, feta and onion in a large bowl. Add the vinegar, oil, basil, and parsley; Toss gently again and season to taste with salt and pepper. 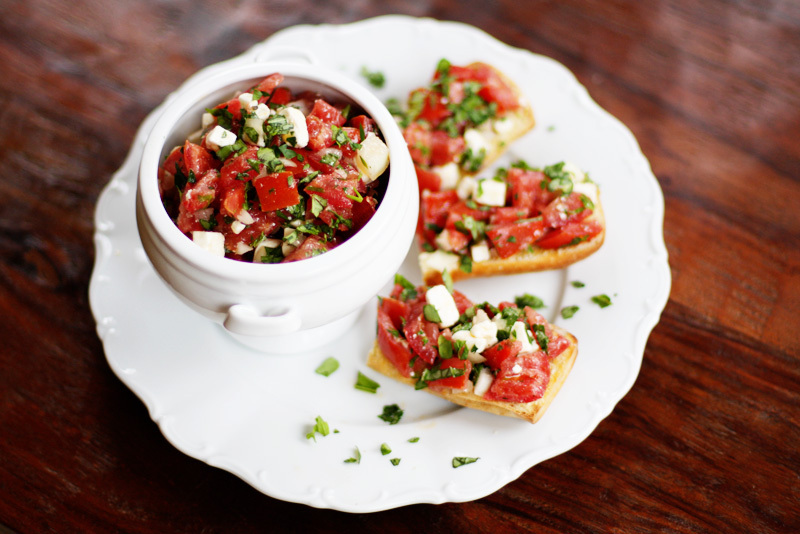 Serve at room temperature with sourdough toasts or fresh french bread slices. You can mix this salad up so many ways… My favorite is tossed with a bunch of chopped fresh romaine. You could also mix it with cooked, cooled pasta or quinoa for a great summer potluck dish. Or of course it is amazing just the way it is! Halve this recipe if you’d like, but I doubt you’ll have any problem finishing it off!